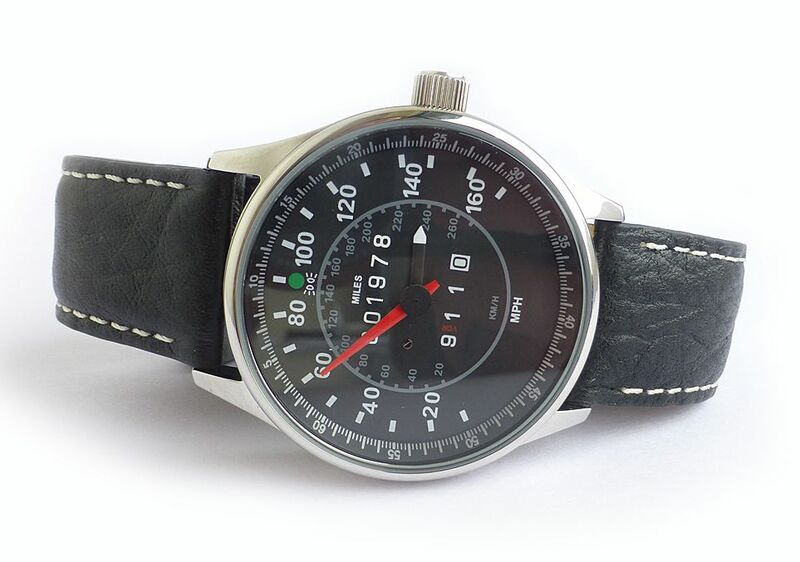 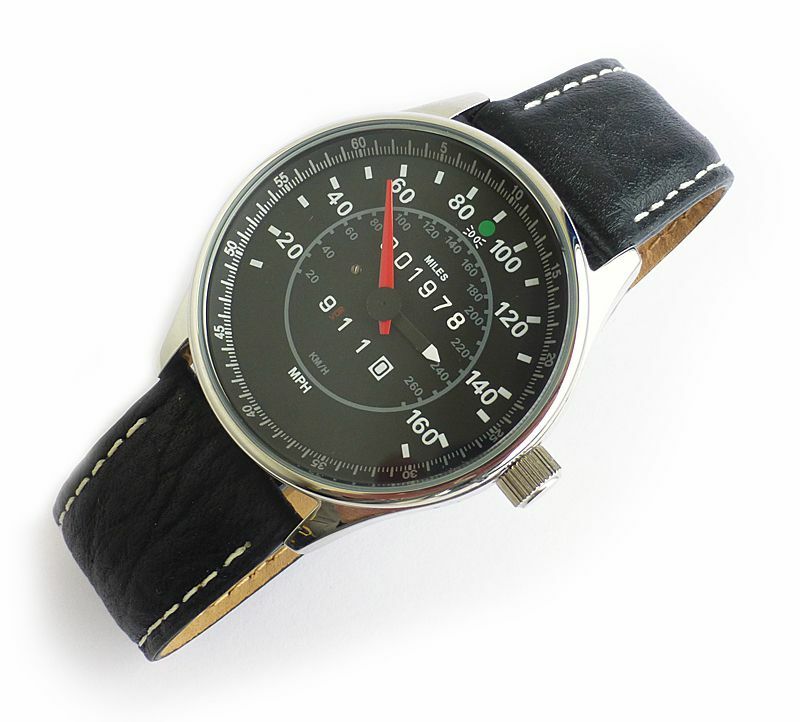 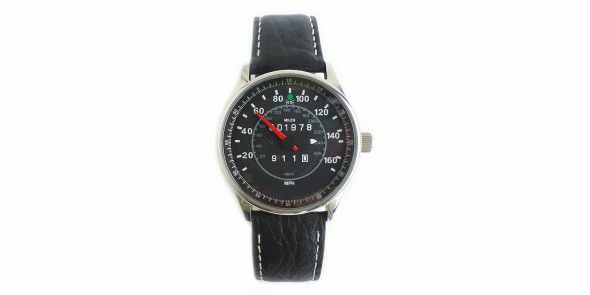 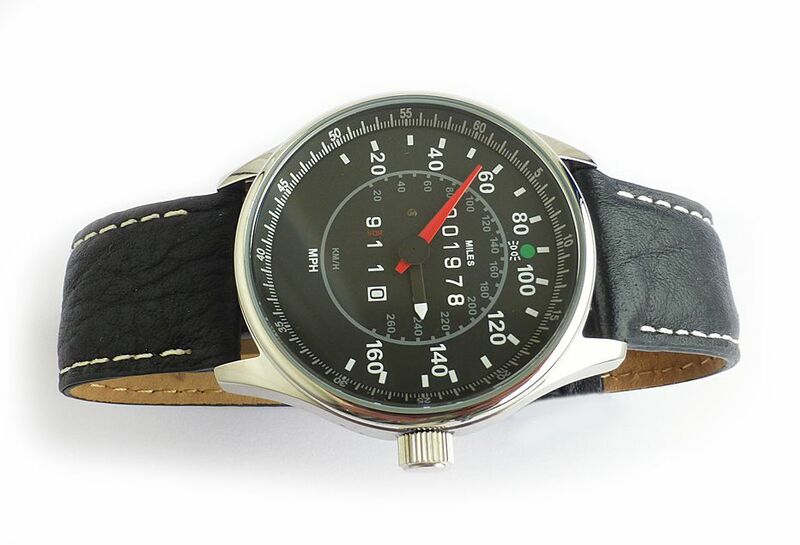 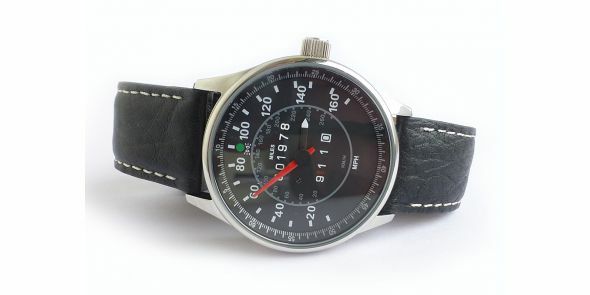 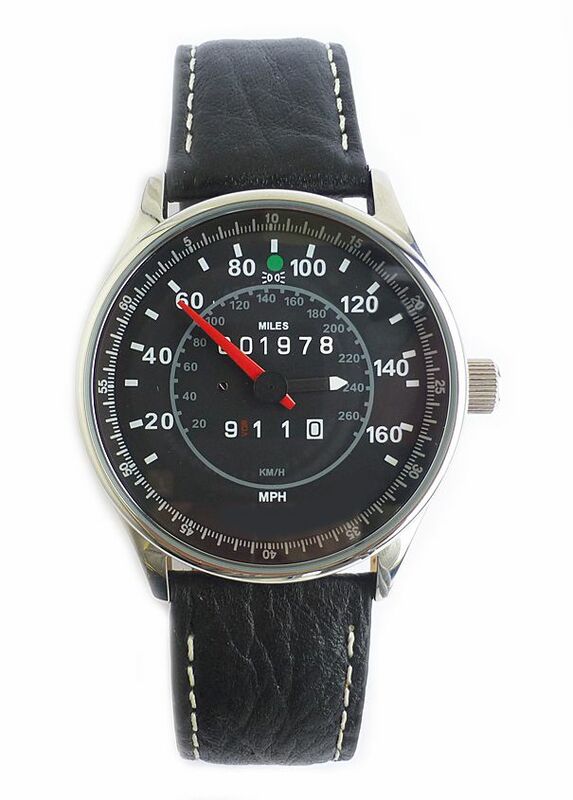 Classic sports car designed speedometer wristwatch, which is a great looking watch for the car enthusiasts or anybody who wants a wristwatch that is attention grabbing, quirky and a real one of a kind. 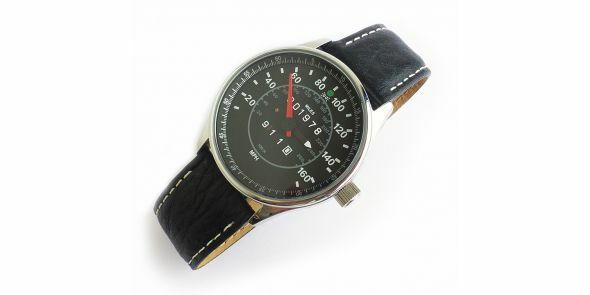 It has taken it’s design inspiration from classic 1973 to 1989 Porsche 911 sports cars. 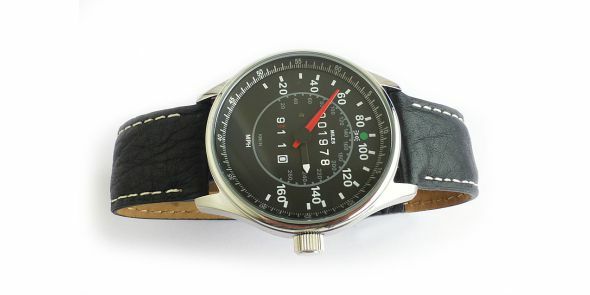 • Quartz movement from Miyota, Citizen Watch Ltd.